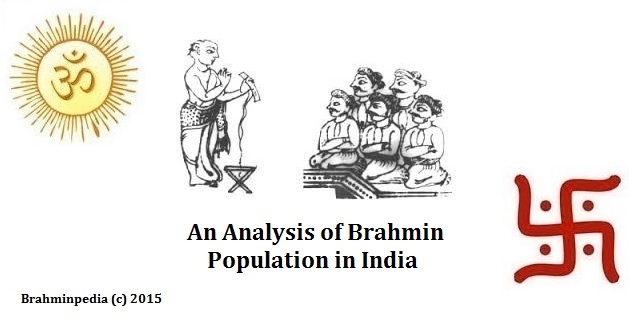 In this post I will talk about the migration of Brahmins as per Kolagallu Inscription of Khottiga dated 967 AD. Khottiga Amoghavarsha (967–972 AD) was a ruler of the Rashtrakuta Empire. As per the Kolagallu Inscription of 967 AD, Khottiga granted land to Brahmin Gadadhara (Sanskrit: गदाधर , Bengali: গদাধর ) from Tara village in northern West Bengal to Kolagallu in Karnataka. Bengali brahmin Gadadhara therefore migrated from Tara village in northern West Bengal to Kolagallu in Bellary district in eastern Karnataka in 967 AD as per Kolagallu Inscription of Khottiga. Bengali Brahmin Gadadhara is described as he crest-jewel of the Gauda country and the illuminator of the Varendri country. His travel would have taken between 1.5 months to 2 months on foot! Thanks for your time. 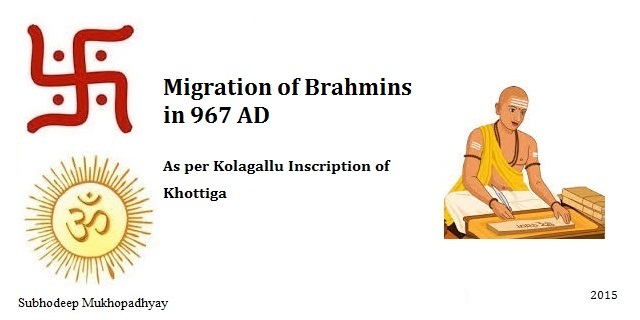 Hope you enjoyed reading Migration of Brahmins as per Kolagallu Inscription of Khottiga dated 967 AD. Please feel free to leave your comments and do share this post with those who might find it useful.